YOUR SECOND TESTIMONY IS NOT A KINGDOM TESTIMONY. YOU WERE PRAYING THE WRONG PRAYER: THE GREATEST NEED OF AN UNBELIEVER IS NOT SPOUSE BUT SALVATION! DON’T PUT THE CART BEFORE THE HORSE. IT’S NOT GOD THAT ANSWERED YOUR PRAYER FOR A WIFE FOR HIM. EVERY RUTH MARRY A BOAZ, NOT ANOTHER GENTILE. WHICH GOOD GIRL OF FAITH WOULD MARRY AN UNBELIEVER? YOU FIRST PRAYED FOR TWO UNBELIEVERS TO MARRY THEMSELVES AND YOU’RE NOW PRAYING FOR THEM TO BE SAVED? FROM WHICH GOSPEL OR DOCTRINE DID YOU READ THAT FROM? IS THAT HOW YOU WANT TO GET A MAN TO MARRY YOU TOO? AFTERWARDS, YOU WILL NOW PRAY FOR HIS SALVATION AFTER MARRIAGE? YOU MUST HAVE BEEN READING YOUR BIBLE UPSIDE DOWN. DAUGHTER, WAKE UP NOW FROM SPIRITUAL SLUMBER OF VAIN RELIGIOSITY! SELAH! 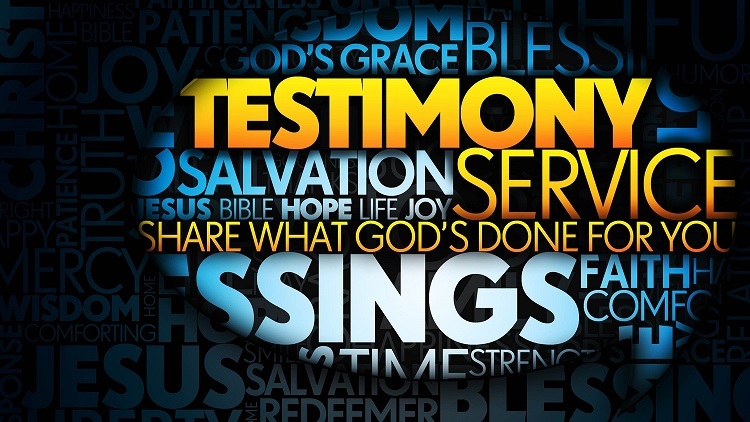 Be the first to comment on "16TH-17TH BANQUETS OF GLAD TIDINGS TESTIMONIES OF APRIL: BLESSED ARE THE PEACEMAKERS"